From the new collaborative economy springs a host of new business models. 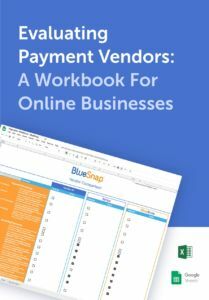 The BlueSnap Marketplace makes it easy for merchants to share profits with multiple vendors, with minimal onboarding requirements so they can get started faster. Flexible and completely customizable, the Marketplace functionality supports just about any type of eCommerce business model. At long last, merchants selling in Latin American countries can offer a local payment experience to online customers. With just one point of contact for merchants (that’s us! ), LATAM Local Processing takes the burden off merchants while still allowing them to offer a shopping experience tailored to Latin America—including local languages, local currencies, and local credit cards and payment methods. Que chevere! Now, fraud data goes further—merchants who take advantage of BlueSnap’s Fraud Prevention services can leverage the customer data mined through Kount and use it to focus their marketing efforts and get to know their shoppers. This new report series enables analysis by product line, device used, country of origin, and more. Our merchant email updates now have a new format and a snappy new design. Packed with even more useful information than before, you can expect a more streamlined email experience going forward. Many of our merchants have asked for the ability to block a card brand (like AMEX) or card type (like debit cards)—now you can! Activate this feature with a simple setting on your console. Good news—if you’re a daily payout merchant who’s been unable to issue refunds because of timing conflicts, you can now set aside funds for that purpose if you don’t have a positive account balance. Check out our support page to learn more. If you are integrated with BlueSnap using our APIs, we strongly recommend that you test your integration in the Sandbox to ensure that your SSL handshake still works. You can start testing in the Sandbox after April 4. And, if your system does not support TLS 1.2, you will be unable to process transactions with BlueSnap on June 4. If you have any questions, please reach out to Merchant Support!